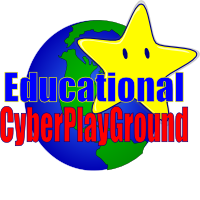 * K-12 HISTORY PUBLISHED ON THE INTERNET HOSTED BY THE EDUCATIONAL CYBERPLAYGROUND, INC. Since 2000 she continues the NetHappenings mailing list K12 tradition which distributes which is primarily focused on events effecting the net and K12 Education with the emphasis placed on both news and resources. For Media, Business, Government, K12 Teacher, Administrator, Librarian, Ed Tech, or Parent.